Bulldogs score 76 on Saturday versus Shaw, a week after scoring 66. What can be more impressive than putting up 66 points in a football game, how about 76? 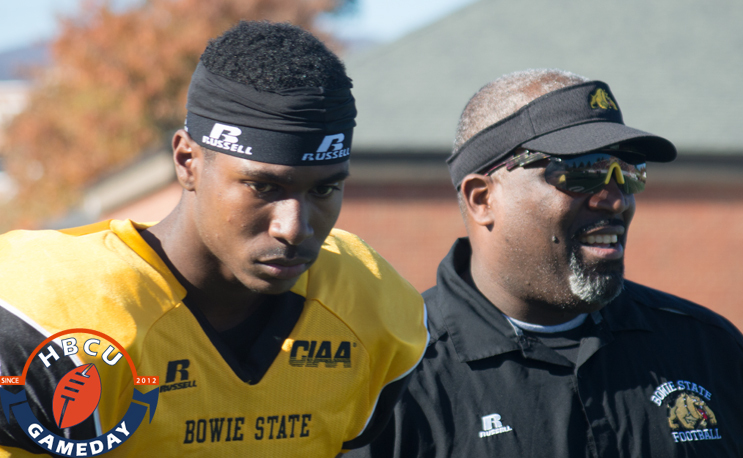 The #23 Bowie State Bulldogs (4-0) did just that, destroying another CIAA Southern Division foe, victimizing Shaw University (1-3) on Saturday 76-7. The Bulldogs had 417 yards of total offense in the first half alone after putting up 35 points in the first quarter. The Bulldogs were up 45-7 at halftime. Amir Hall had another dominant performance for the Bulldogs, finishing the night with 420 passing yards. He tied his own school record of six passing touchdowns. Robert Chesson and Maurice Williams looked like the old MTV2 logo out there, a two-headed dog biting you from every angle. Both players rushing for 101 yards each. Next week might turn out to be a scoreboard operator’s nightmare. Bowie travels to Fayetteville State to face a Bronco team who’s scored 82 points in their last two games, while the Bulldogs have put up 142. Shaw is back at home next weekend hosting Elizabeth City State.